Elwyn Berlekamp was born in Dover, Ohio, on September 6, 1940. He received the B.S., M.S., and Ph.D. degrees in Electrical Engineering from MIT in 1962 and 1964. 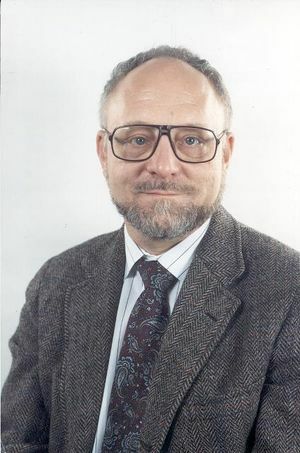 Following five years at Bell Telephone Laboratories, Dr. Berlekamp became Professor of Mathematics and of Electrical Engineering/Computer Science at the University of California Berkeley in 1971. Dr. Berlekamp served as associate chairman for computer science in the Department of Electrical Engineering and Computer Science at U.C. Berkeley from 1975-77. In 1982 Dr. Berlekamp reduced his faculty appointment to part-time to pursue industrial research and engineering at Cyclotomics, a company which he founded and led as president until 1989. Cyclotomics became a subsidiary of Eastman Kodak in 1985, and was later renamed "Kodak Berkeley Research." From 1967 through the late 1980's, Dr. Berlekamp and his colleagues introduced a series of major improvements in algorithms for decoding sophisticated algebraic codes, especially Reed-Solomon codes. The Space Telescope communication system, for example, uses a Reed-Solomon code with Berlekamp decoding. On the commercial side, "Cinema Digital Sound, which was introduced in the movie film industry in 1990, is based on a prototype designed and developed under Dr. Berlekamp's leadership at Cyclotomics. All compact disc players use RS codes with the earlier Berlekamp decoding algorithms, and many optical disk storage systems also use the more advanced later refinements. Dr. Berlekamp was Eta Kappa Nu's "Outstanding Young Electrical Engineer" in 1971, President of the IEEE Information Theory Group in 1973, and in 1977 he was elected to the National Academy of Engineering. He is a Fellow of the IEEE, and received an IEEE Centennial Medal in 1984 and the IEEE Koji Kobayashi Computers and Communications Award in 1990. Dr. Berlekamp has 12 patented inventions and over 75 publications. He is author of "Algebraic Coding Theory" (McGraw-Hill, 1968 and Aegean Park Press, 1984), and co-author of "Winning Ways" (Academic Press, 1982). His two current principal technical interests are recent extensions of combinatorial game theory which provide precise analyses of certain difficult endgame problems in the board game "Go," and the use of statistical information theory to forecast stock and commodity prices. This page was last edited on 25 January 2019, at 20:21.